When people call us wanting to sell their house they usually want to know how the process works. Of all the questions we get, this one is the easiest to answer! We like keeping everything simple and easy. Here is how it works. You call us. 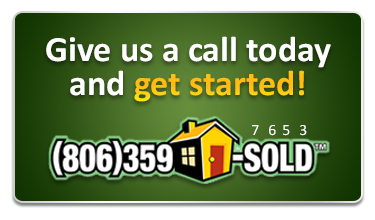 We will visit with you on the phone and ask you questions about your house. Once we know more about your situation we can make a recommendation. We look at your house. If you are out of town we can either drive by or go inside if that is possible. If you live in town we would prefer to meet you at the house. We will look at the house and make you an offer. Write a contract. If you like our offer we will write a contract so that we can be ready to close when you are ready. Close. This is easiest step. You just sign and pick up a check. All you need is you I.D. and a good pen. We can even provide you with the pen if you need one! If you live out of town we will mail you the closing documents so that you don’t have to drive to Amarillo.